I have been going there for years and everything is wonderful. Very professional the moment you walk in. I highly recommendtheir services. I have been going there for years and everything is wonderful. Very professional the moment you walk in. I highly recommend their services. Very professional, knowledgeable, efficient. I felt cared for, listened to, and Dr. Thich was very thorough and thoughtfulwith her exam. The staff is very professional and also clear about cost up front. Would definitely recommend this practice. Very professional, knowledgeable, efficient. I felt cared for, listened to, and Dr. Thich was very thorough and thoughtful with her exam. The staff is very professional and also clearabout cost up front. Would definitely recommend this practice. Dr. Amy Thich received her Doctor of Optometry degree from Nova Southeastern University. During her rotations, she specialized in ocular disease. She has always made education one of her highest priorities. Dr. Thich promotes preventative eye care to all patients and provides continuing education for the staff. She listens to all your individual needs, explaining the findings and making recommendations that are easy to understand. Professional affiliations include: American Optometric Association and California Optometric Association. I visited Dr. Thich's office and had an excellent experience. I really appreciated that the receptionist (or assistant, I can't remember)-- who was super friendly-- called beforehand to let me know how my office visit would work with my insuranceand how much my co-pay would be. I saw Dr. Lam and she was great! I came in with an eye infection and Dr. Lam was very informative and clear with her instructions for aftercare. I moved to SF a few months ago and this was my first visit to an eye doctor, and after this experience I will certainly be visiting AccuVision for any future eye exams. Thank you Dr. Lam! All staff is very friendly and professional. Amy Thick, OD was professional, efficient, informative and gracious. I had a great experience with a very thorough doctor. I learned a ton about my eyes and my issues were quickly assessed and resolved and I feel like my optical health is better than ever. Thank you! Great visit with Dr. Lam, gained a lot of education about my eyes. Eye wash regimen and eye drops. Took the time to explain computer use and prescription to help with that as well. I really appreciate it! Everyone was friendly and efficient. I've seen Amy 3 or 4 times and have had nothing but great experiences. I highly recommend her! My visit was great! I was checked in promptly, everything happened on time, the whole staff is friendly and Amy very clearly, patiently answered all my questions about my vision. I'll definitely be coming back. I LOVED Dr. Tich, she was super friendly and professional. I would absolutely recommend her to anyone. My appointment was with Dr. Lam and she was AWESOME. Excellent & thorough explanations, super patient with all questions, made me feel like I really mattered in the moment and into the future. Efficient examination. Clear, concise summary of the condition of my eyes, including recommendations. I saw Dr Lam today and she was wonderful. The office staff was friendly and helpful. Would highly recommend. I had a great first visit with Dr. Thich for my annual eye exam. The team was welcoming, caring, and careful as they explained the various tests. Dr. Thich was great about explaining the various results and what they meant. Andit seems like they are using the latest tools and techniques, but not in a flashy way. I'll be back! The doctor was very gentle, answered all of my questions and explained everything very clearly. It was a pleasant and personable experience. I'm on student health care and the woman at the front desk made sure to let me know exactlyhow much I would pay before I began my appointment, and let me know what all of the most affordable options were - which I really appreciated. Will come back definitely. Very nice and informative. I really appreciated that she went over my scans and explained what she was looking for. The ladies at the front desk were really nice and helpful. The service was amazing! I’m new to San Francisco and I was afraid of choosing the wrong doctor but everyone is very friendly and patient. I was completely clueless about contacts and felt bad for taking so long to practice puttingcontacts in but everyone was genuinely understanding. I definitely recommend this place!!! Highly recommend the service and expertise here. They made me feel comfortable right away and impressed me with their professionalism. Efficient, professional and smart. What else can you ask for? Amy was great! Her staff was super helpful and welcoming. Had a lovely experience here. Amazing service, super friendly staff, highly recommend. I've been going to Dr. Thich for over 5 years now. She is great and her staff are very professional. Highly recommended. Always professional. Always thorough. Always kind. Both Dr. Amy and Rebecca were so kind. Rebecca fully explained my insurance so I had no questions. She was extremely through but not pushy about purchasing glasses, etc. HIGHLY recommend Dr. Thich. Great experience. I've been seen Dr . Thich for 8 to 10 years now and only go elsewhere when I have to. Easy to make an appointment online or phone, weekend hours, well trained staff, great selection of frames of all kinds (andI'm particular). 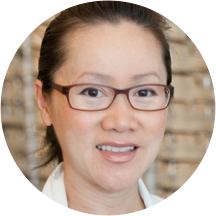 Amy Thich has excellent, up to the minute suggestions of the best ideas for my eyesight every time I go - I've recommended her several times and will continue to - Wonderful doctor! Amy is detailed and always a pleasure to visit. I've seen her for the last 4 years since migrating from the UK. I can say hands down she is one of the best there is. Very nice dr. I would use her more often except that her office is not very convenient to my home or office. I've been a patient of Dr. Thich for about 5 years now. I've always been very impressed with her office. The office staff are polite and extremely helpful and they are able to do a lot of their communication electronically (viaemail, text) which is really nice. Dr. Thich is thorough and has excellent bedside manner. I'd highly recommend her. Super friendly and very helpful! Both the Doctor and assistant were extremely friendly and helpful. Also have very convenient hours, late appointment times. Highly recommended. A true professional...very knowledgeable and patient,friendly and easy to get along with. I had a really great experience with Amy. Very professional and friendly. I was a bit early, but was attended to right away. Answered all my questions. Wasn't pushy on any additional services or products. Very nice staff, very professional, great technology, good selection of lenses and nice office. Extremely professional and quick. Office assistants processed everything immediately, and Dr. Thich solved my issue right away! Annual checkup went great! Dr. Thich and her assistant were friendly, explained every step very clearly and had me out in less than 30min. Looking forward to next year! Dr. Thich is friendly and happy to explain what's going on with your eyes and offers options in a very factual, no-sales-pressure environment. Overall, it was a good experience, especially since I hadn't had an eye exam in over a decade.Her staff did all of the initial eye measurement stuff, but then I went into an exam room with Dr. Thich to do all the lens measurements and talked with her about the results of the exams. Dr Thich is an excellent eye doctor. She discussed my eye concerns and explained possible causes and solutions for my problems. She also has a nice frame inventory from which to choose. Amazing experience, from Dr. Thich to ladies (Gabrielle and the other lady) working in the front. They were all very professional and prompt, while the exam was thorough. Will definitely go to them for any vision needs from now on. Highly recommend.